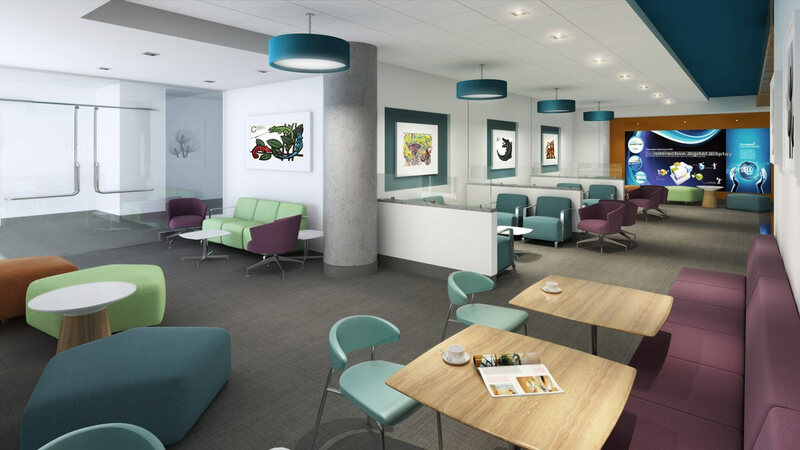 Plans include the construction of a new building and renovations to existing spaces. 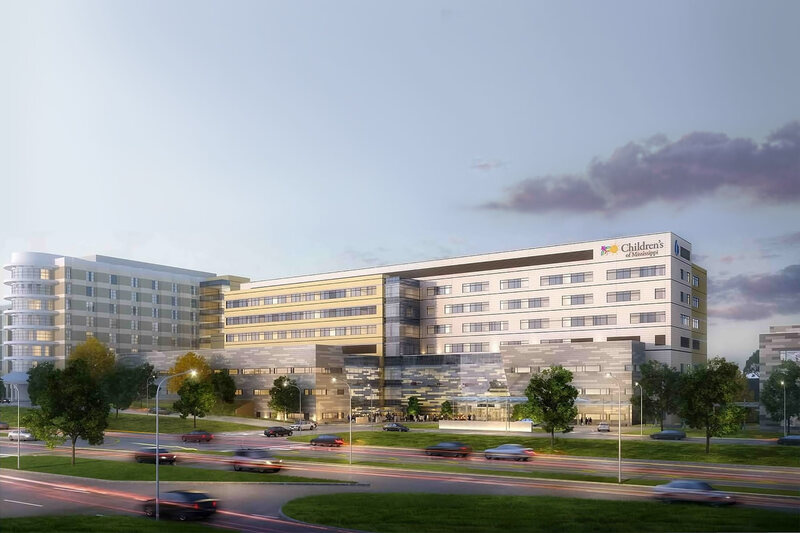 When complete, this project will give the children of Mississippi a modern, friendly, welcoming place where they can receive best-practice medical care. 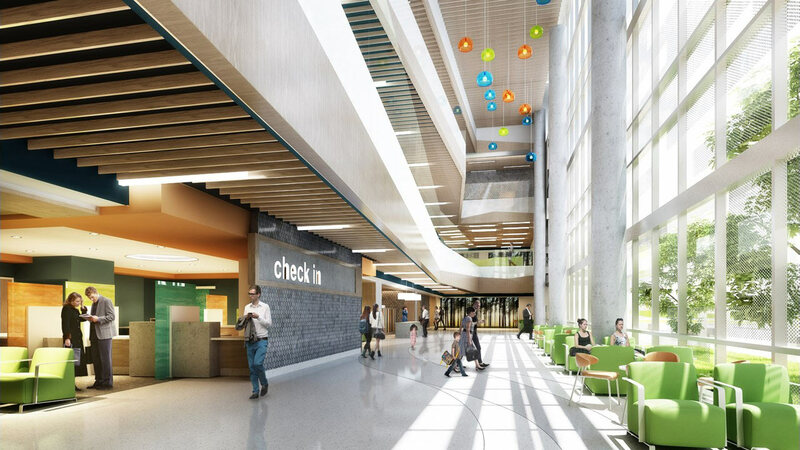 The lighting, finishes, and design of the lobby will work together to provide a colorful and intuitive guide through the hospital. 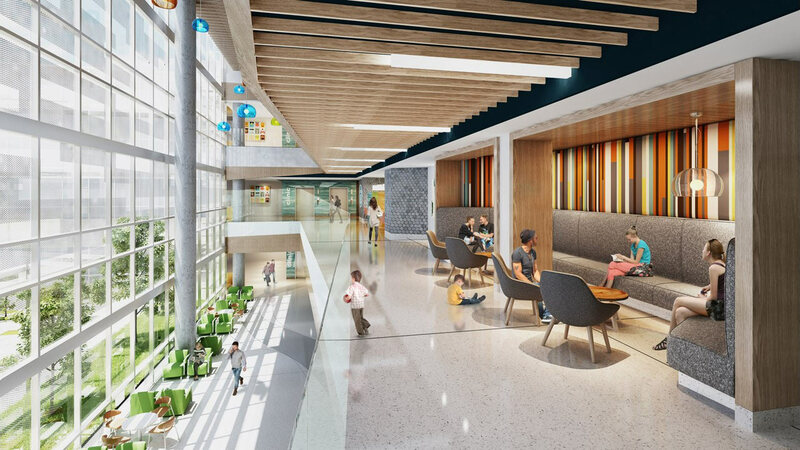 Daylight streams into the three-story atrium through soaring, floor-to-ceiling windows, drawing attention to the lobby’s engaging colors and materials. 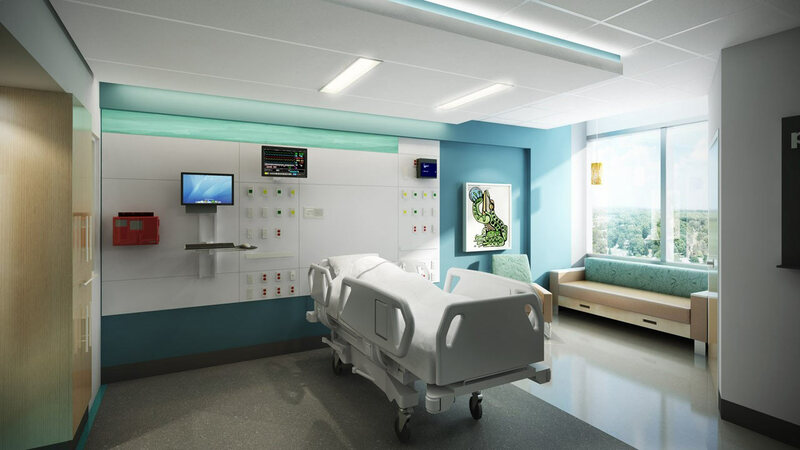 The new hospital will feature regional and cultural graphics and artwork, sharing Mississippi’s story with visitors. 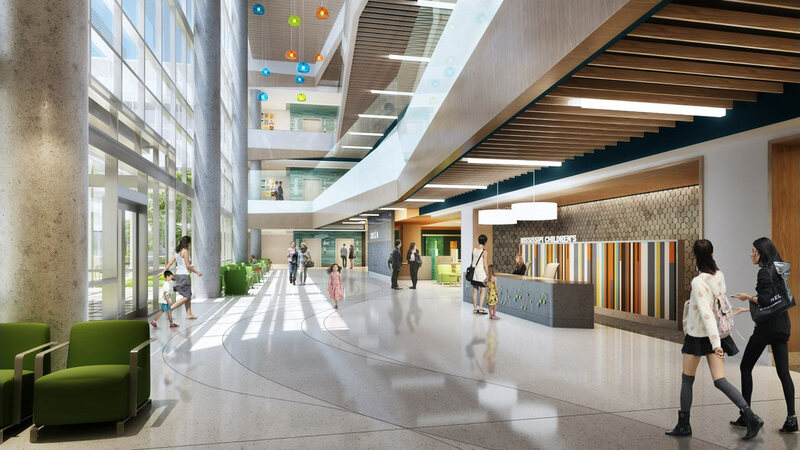 These unique details help create a positive, welcoming experience for children, their families, and hospital visitors. 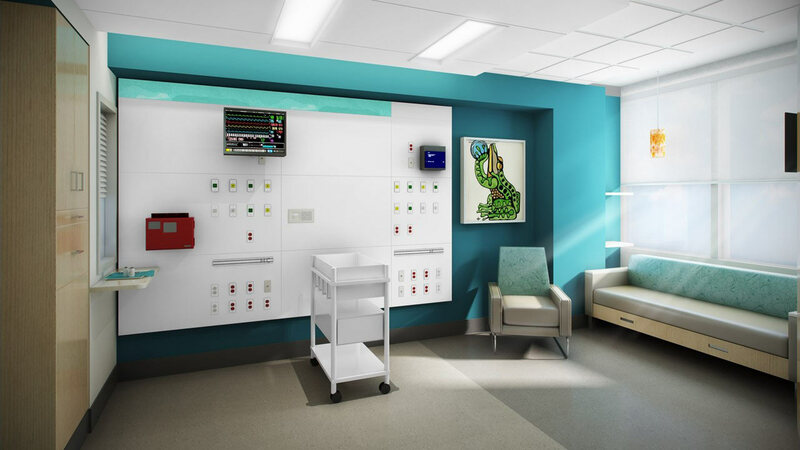 Children’s of Mississippi is home to the state’s only Level IV Neonatal Intensive Care Unit (NICU) – the highest level for neonatal care – and the largest NICU in the state. The most critically ill infants may call the NICU home for several months; some stay as long as a year. 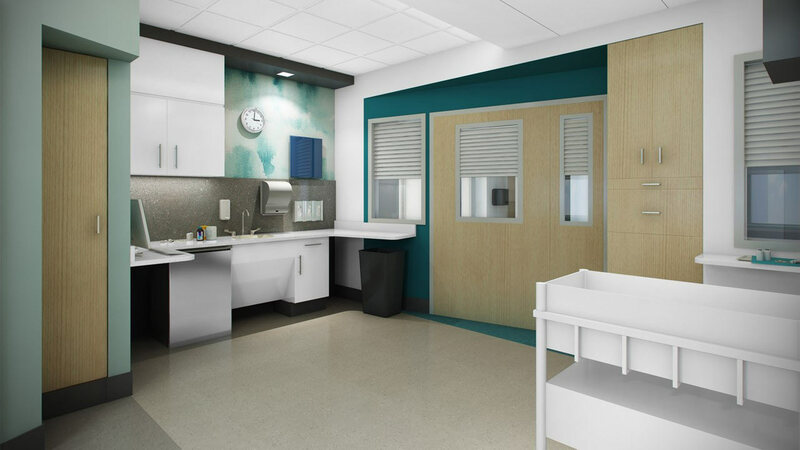 The expansion will provide 88 private rooms where parents can bond with their newborns, quiet areas where new mothers can breastfeed, overnight accommodations that allow parents to be near their babies, and a properly sized NICU that will give critically ill newborns their best chance at life. Cardiac patients and other critically ill children are cared for in the pediatric intensive care unit (PICU). Currently, patients and their families weather the greatest fear and stress imaginable in a crowded, shared space without walls. 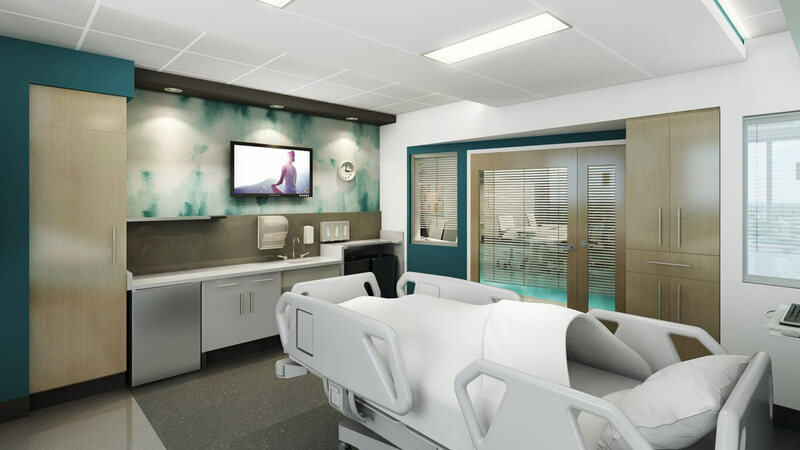 The expanded PICU will offer 32 private rooms where patients can receive intensive care and families can stay by a child’s bedside in a calm, sheltered place. The conference center was designed with the flexibility to accommodate the many wonderful community partners, dignitaries, and volunteers who visit Children’s of Mississippi. The conference center has moveable walls that can slide open, making the space an extension of the main lobby. 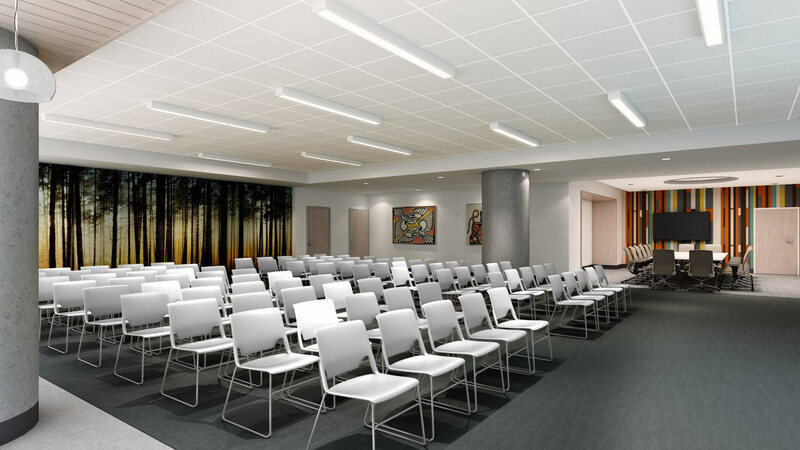 For smaller gatherings, the conference center can reduce down to two rooms closed off from the lobby. A pantry is located directly adjacent to the main meeting area for catering prep, and a storage room and cabinets add convenience and utility to this bright, open space.